Banks, insurance companies, large corporations. We work to hold those at fault accountable. "It became inspiration...to pursue law." When it is an individual versus an organization, the underdog does not always have the same voice. That is where we come in. We represent the underdog against banks, insurance companies, and corporations. We handle personal injury, employment, denial of insurance, and consumer cases. We represent real people with real problems – from insurance companies denying benefits, consumers who are wronged by a company or injured by a product, wrongful debt collections, or unfair credit reporting. We fight for your rights. 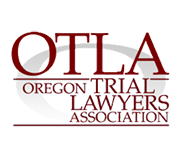 We are committed to fair compensation for all injured victims. Drawing from a wealth of personal and professional experiences, we know what it takes to ensure that all clients have a voice in the legal system. You’re more than a just a number; you have a story to tell. We manage and support each claim personally, from initial consultation to case completion. "Throughout this hard and trying time in my life, Mr. Le was emotionally supportive, understanding, encouraging and always had a positive attitude for a good outcome. He succeeded in winning this case and recovered a substantial amount. Thank you Robert Le." 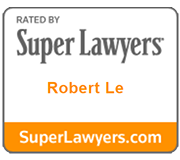 "Robert Le worked hard to quickly settle my case and always asked for my input through the whole process. I am really pleased with everything Robert Le has done for me. I will definitely go to him the next time I need an injury lawyer." "Robert Le went above and beyond my expectation to fight for me." "Finally, I had these individuals who said, 'We're here for you. We're here to support you. We're going to make this right. You're not going to be a victim any longer. You're going to be able to move forward with your life.'" "We went against one of the biggest law firms in Los Angeles. They tried hard to intimidate us...we were able to win the case." Defective products, unfair sales, unjustified fees and elder abuse. For many, it can be difficult to understand what’s happening and know what your rights are. An experienced and hardworking lawyer on your side is invaluable when seeking just compensation in a consumer or class-action case. Our team is experienced at taking on banks or major corporations. A personal injury can change a life in a matter of seconds. Victims are left to deal with complicated insurance claims, recovery, sometimes permanent disability, lost wages, medical bills and more. For many it can be overwhelming. We help people hurt — from pedestrian, worker, tourist, cyclist, driver, and more — by navigating the challenges after a catastrophic or serious injury.